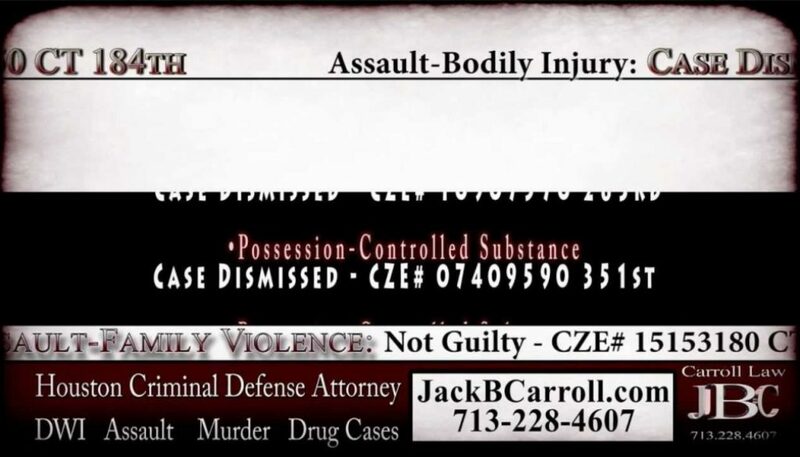 This video is a complete version of Jack Carroll’s criminal defense case results. Jack asked me to do this video for web promotion purposes, video search exposure, and for additional media content for his website. The previous version of this composition was for illustration purposes, this is the real deal. To visit Jack B. Carroll’s website click here, don’t forget to review the animated header on the top of his website. I told my client, when we discussed this video, that if he wanted a TV commercial version for Television to let me know. Then we laughed because we rarely, if ever, see criminal defense lawyers run commercials on TV. However, this would be perfect for the web, which was why it was made. VizTV Media is for hire. Call 713-443-7578 to discuss videography projects in the Houston, and southeast Texas area.